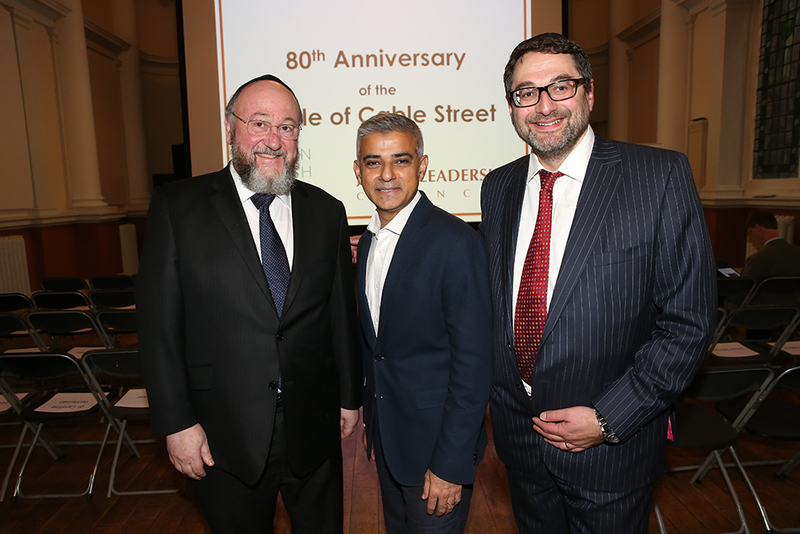 Sadiq Khan has said the way communities came together to repel fascism at Cable Street offers a “roadmap” for defeating extremists, as Jewish leaders and politicians came together to mark the battle’s 80th anniversary. 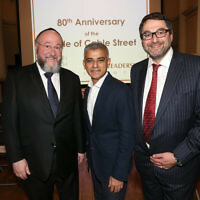 The community’s gathering was part of a series of events eight decades after a planned march through a Jewish area of the East End by Oswald Mosley’s British Union of Fascists was thwarted. 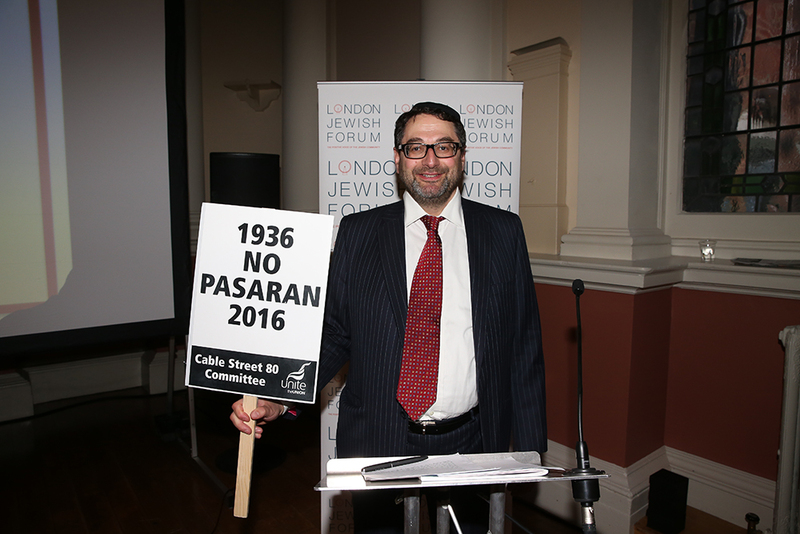 Police had planned to allow the march to proceed on 4 October 1936 but it was later cancelled after 20,000 Jews, socialists and trade unionists took to the streets to set up barricades – a landmark moment in the fight against racism. 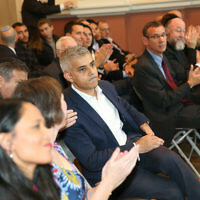 The London mayor said British Jews should be “proud” of the events of that day, whose message he said is as relevant today as then. 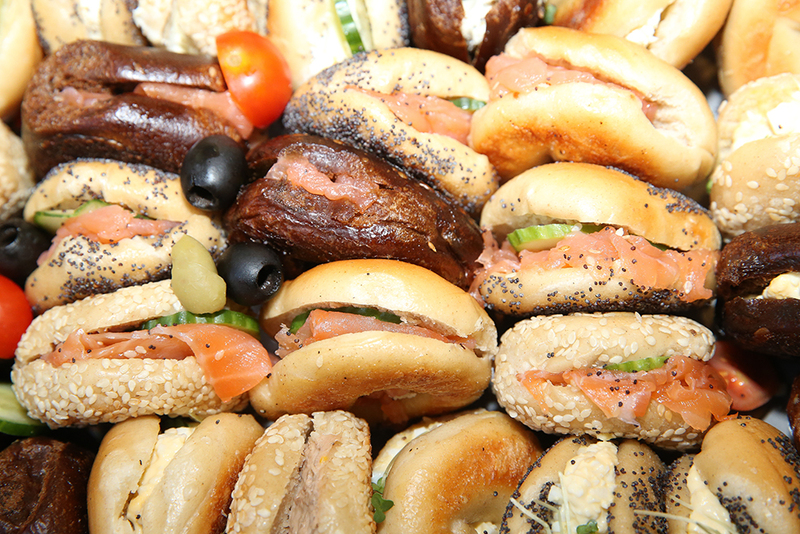 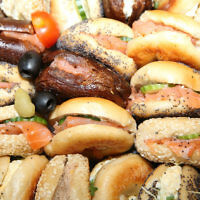 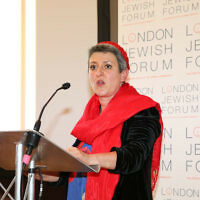 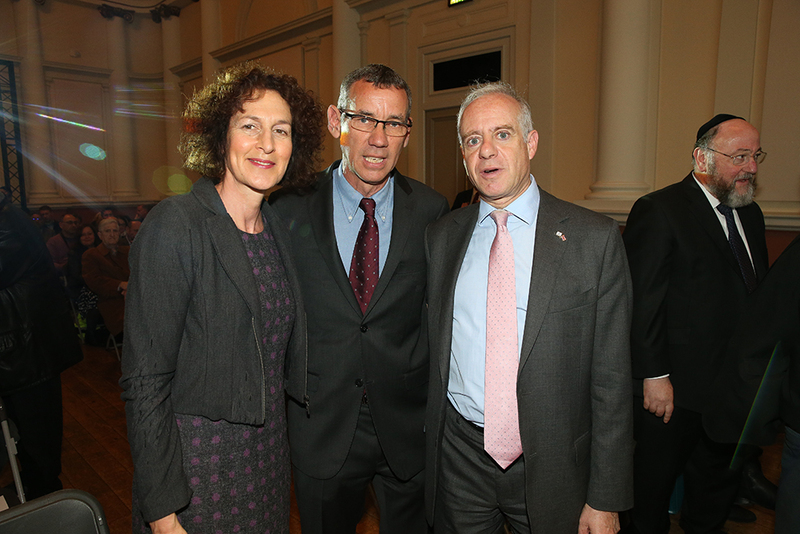 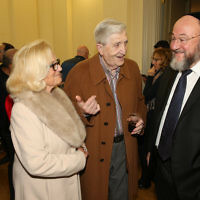 The gathering at Shoreditch Town Hall, close to the scene of the famous battle, was organised by the London Jewish Forum and Jewish Leadership Council and media partnered by Jewish News. 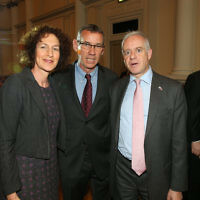 Guests included MPs John Mann and Stephen Timms, TUC general secretary Frances O’Grady, local couccillors and Sir Trevor chinn, the inspiration behind the ceremony. 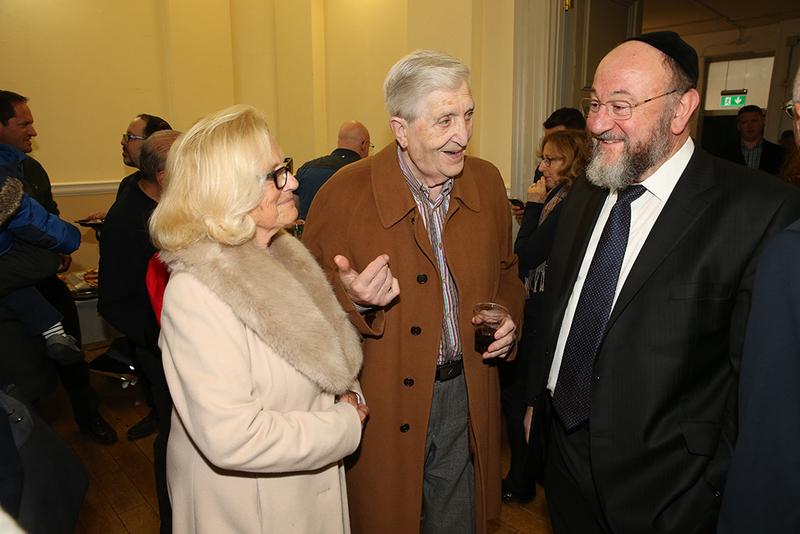 The Chief Rabbi hailed their “bravery and heroism” of those who took to the streets, 80 years after Jewish leaders urged people to stay at home. 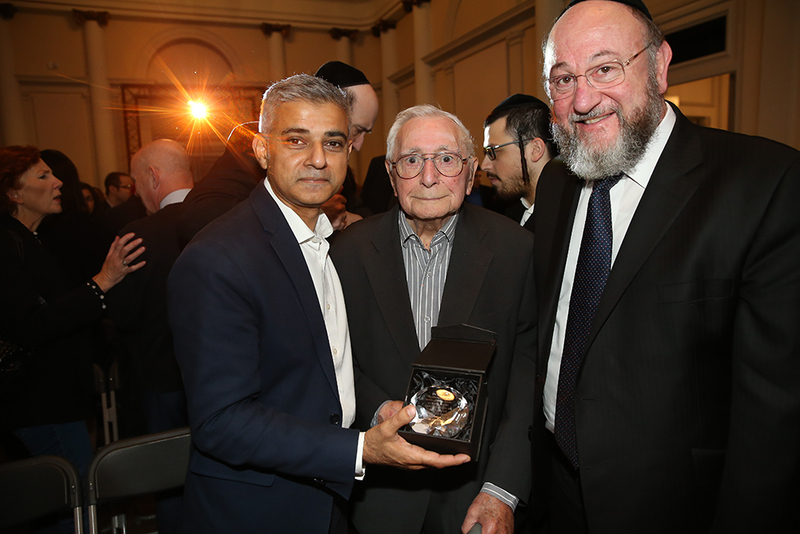 “It was here that we learnt the lesson of the power of unity. 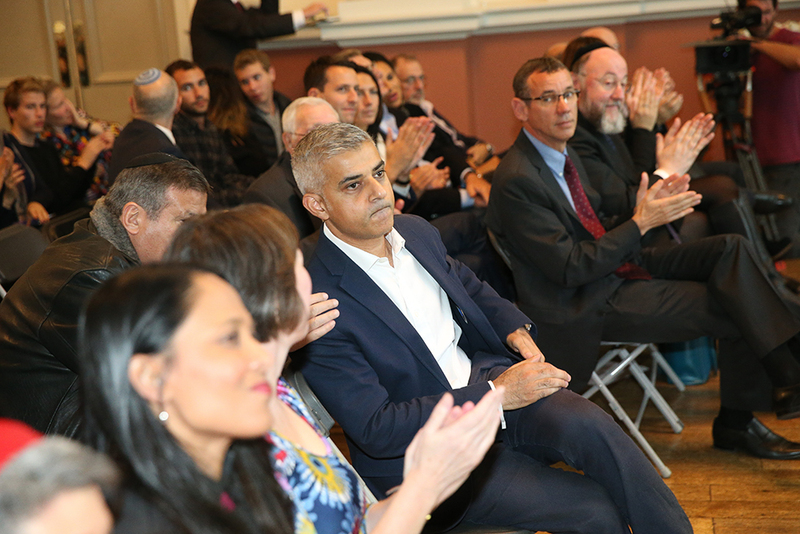 So many individuals, groups and families gained added strength from the numbers of people who poured on to the streets,” said. 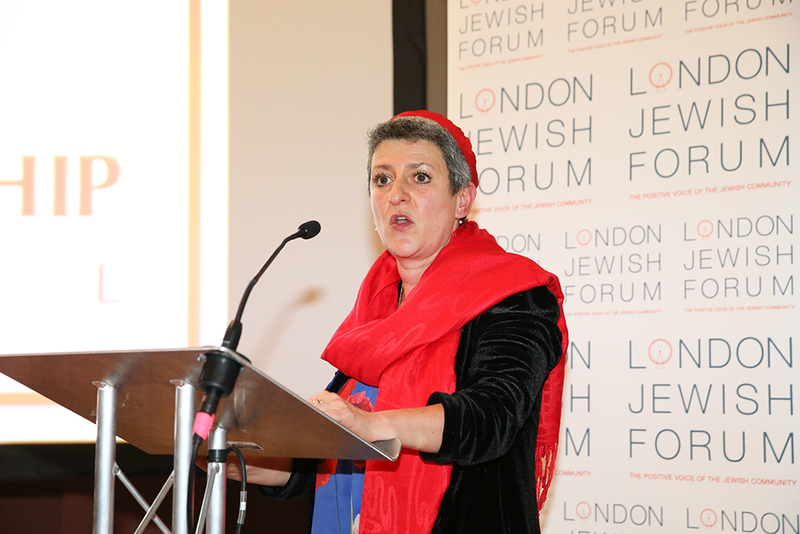 Ruth Smeeth spoke of her grandmother collecting rotten fruit to use as missiles during the battle, while Reform Movement senior Rabbi Laura Janner-Klausner referred to her grandfather’s service to the area as MP for Whitechapel. 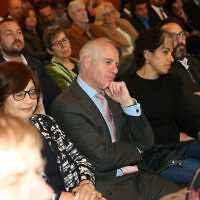 MP Rushanara Ali spoke of her pride at representing an area “that is what it is because of the struggle particularly of the British Jewish community against fascism and anti-Semitism”, while LJF chair Adrian Cohen recalled the Battle led to the Public Order Act requiring a police license to march and the banning of paramilitary uniforms in political demonstrations. 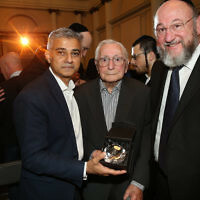 He said: “Racist, misogynistic, homophobic or anti-Semitic prejud0ces ar not confined to fascist, although fascists tend to be more over and deliberate in their articulation of them. 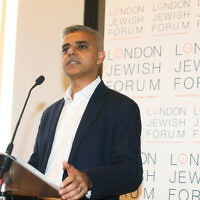 But we must all work together to resist our body politic across the spectrum from left to right becoming infected by ideologies of extremism and intolerant ways of behaving.. A Particular responsibility lies with our political leadership to address this.” Guests signed a pledge to tackle all forms of racism including anti-Semitism and Islamophobia. 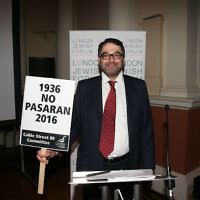 Meanwhile, thousands marched through the East end past the famous cable street mural, as part of an event organised by an assortment of organisations including the Unite union. 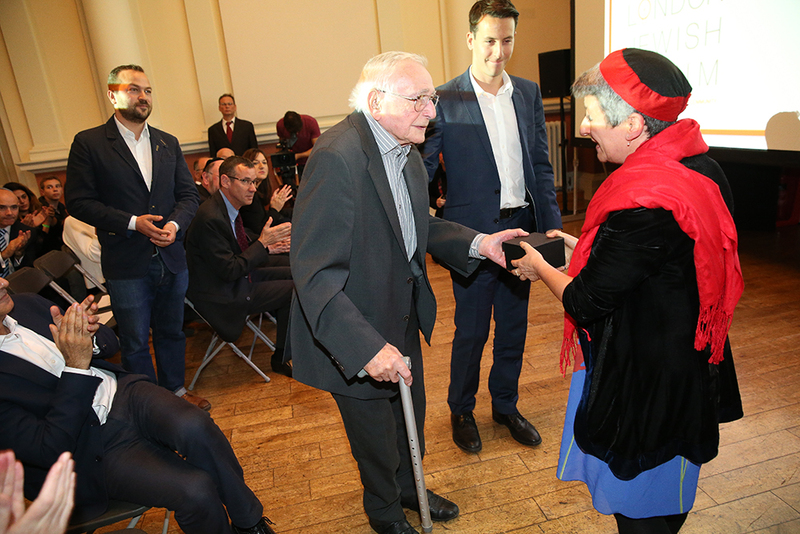 Among them was a group from the Jewish labour Movement, who sung the Hatikvah and Odom Olam as they went. 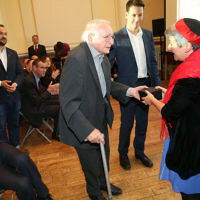 Jeremy Corbyn, who learnt about the Battle from his mother Naomi who was there at the time, spoke of the “deep personal significance” of the historic event. 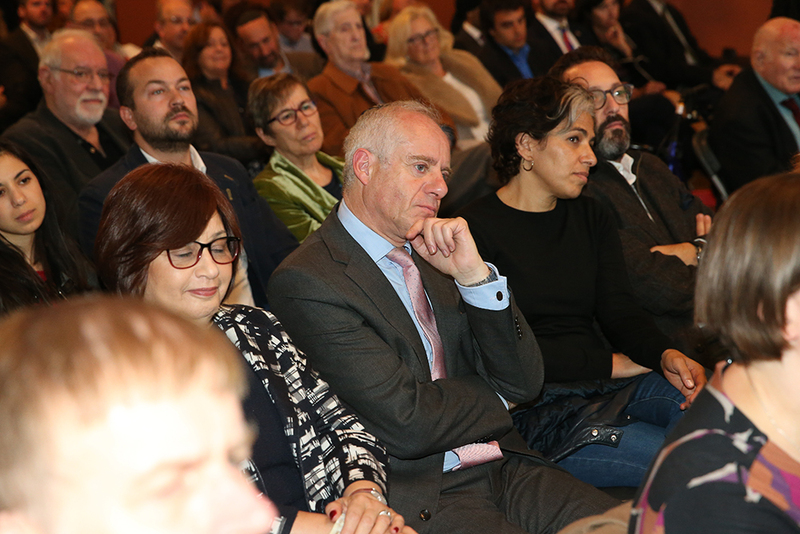 “The principles that brought those people on to the streets runs through my DNA. 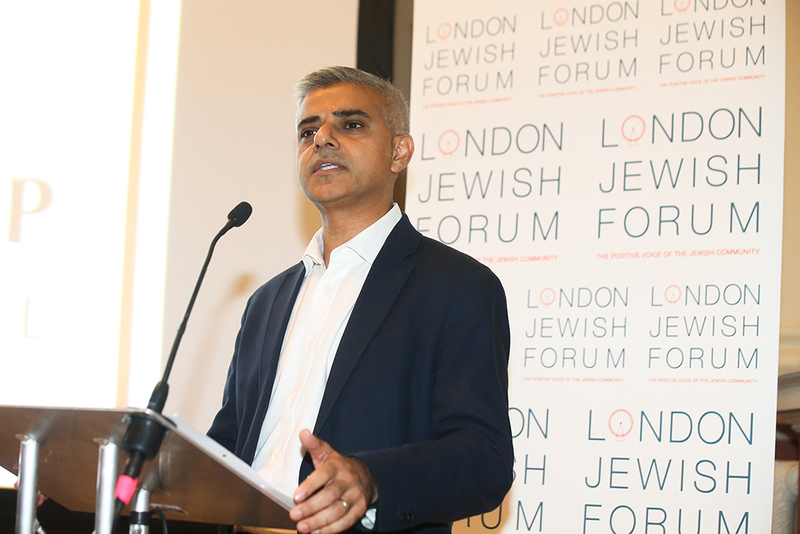 Be in no doubt – I will never turn my back on those values. 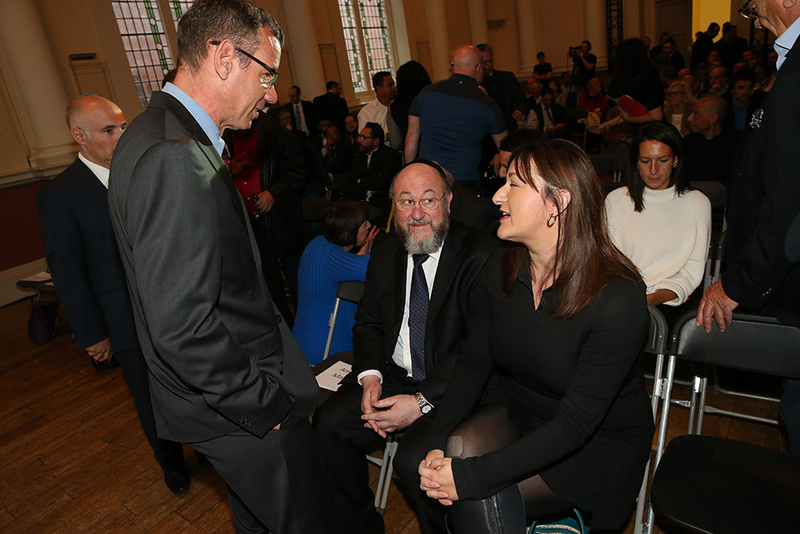 I will fight against those who today aim to drive a wedge between us and our communities.